JerseyBites – Features Taste This! Published on March 6, 2009 in Project Update. 4 Comments Tags: contest, Deb Smith, Deborah Smith, Finger Lickin' Chicken, Jersey Bites, Review. 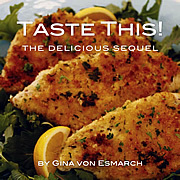 Not only did Jersey Bites review “Finger Lickin’ Chicken” she liked the book so much she wanted to give her readers the opportunity to win a book for themselves. 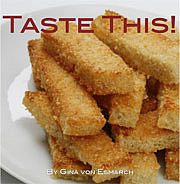 What I love about her book besides the beautiful pictures are the completely easy, no fuss recipes. Last night I made her “Finger Lickin’ Chicken.” All of 4 ingredients including the chicken. 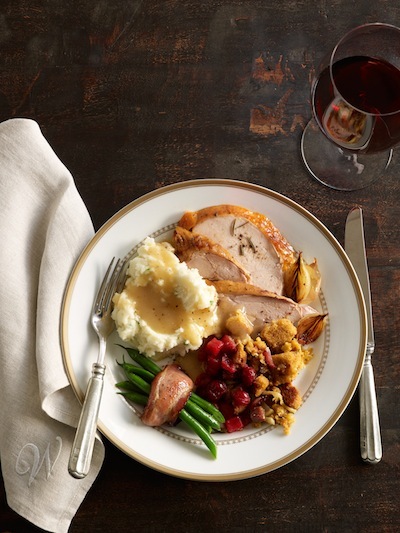 So easy and so yummy. Had the leftover for lunch today. Deadline for entries is Tuesday, March 10th at 11:59PM/ET. And if you Tweet It (@jerseybites) or Blog it- You Double Down with an extra point! Don’t hesitate on this one because time is running out.